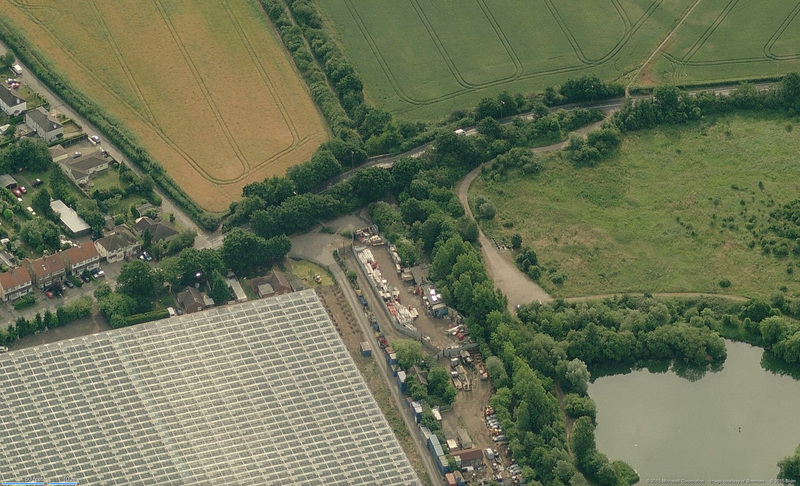 Courtesy of modern technology, here are a few photos of Smallford Station taken from the air. These photos give three angles (the un-displayed fourth angle does not show the station due to foliage) of the station and small part of the branch line. The photos were taken at different times, as evidenced by the changes in the yard beside the station. Photos are courtesy of Bing Maps. Click on the thumbnails below for a larger image.